This increase will be done during the winter season, from December 2016 to March of the next year. Actually, the airline flights in the routes Toronto- San Jose, Toronto- Liberia, Montreal- Liberia, and just two months ago the airline add the direct flight between Montreal and San Jose. Air Canada decided to increase its operations to the country by adding 6 new frequencies to its current 5, for a total of 11 weekly frequencies operating the route Toronto - San Jose. Mauricio Ventura, Tourism Minister, said that this new announcement is a reflection of the confidence in the country as a vacation destiny and the success the airline has had with its operations to Costa Rica. “Almost the 90% of the Canadians who come to the country are using the air way, that’s why it is a priority for the institution to continue reinforcing the aerial connections, with the aim of providing facilities to more Canadian tourists wondering to visit Costa Rica, as it represents the second largest source country of tourists entering by air worldwide. Due to this, the dramatic increase of frequencies by Air Canada in the route Toronto-San Jose is a motive of joy for our country”, Ventura said. The airline will use an A319 aircraft, with capacity for 136 passengers, due to this, for this season the quantity of seats available will increase by 670 per week. Last year, we received nearly 160,000 Canadians entering by airway, our primary mean of entry to the country. Likewise, Toronto and Montreal are considered the major cities of Canada that register the highest number of top prospects to Costa Rica (12%); that is people who have a high and real interest in visiting or revisiting the country, cities where precisely Air Canada offers direct connections. A remarkable aspect of the Canadian tourist is that their average stay in the country is of a 34% and registers an approximately stay of 15.3 nights. In the same way, during the period of 2009-2014, the average daily spend of the Canadian tourist was of $96.2. Air Canada is the biggest domestic and international airline of Canada, with flights to more than 200 airports in six continents. It is located among the 20th biggest airlines of the world and in 2015 transported more than 41 million of passengers. 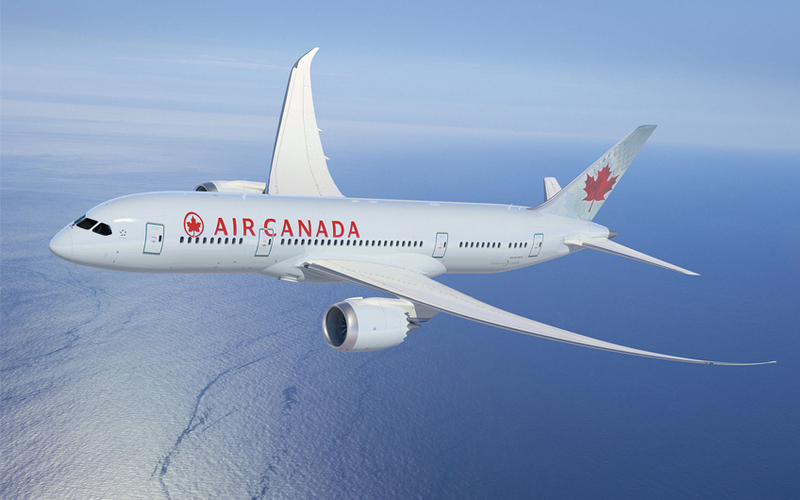 Air Canada offers a regular service of passengers directly to 63 cities in Canada, 52 in the United States and 86 in Europe, Middle East, Africa, Asia, Australia, the Caribbean, Mexico, Central America, and South America. If you want to know more about all the possibilities for some Costa Rica vacations, please read our blog. You will have some useful information that will help you during your vacation planning process. The BEST Costa Rica Travel Guide for new travelers. Before planning your trip to Costa Rica you need to know the Best Places To Visit in Costa Rica. After knowing which places are the best to visit you need to learn about What to Eat? and also It is safe to drink the water in Costa Rica?. Then if you are wondering where to stay at the beach Travel Excellence offers a complete list of Resorts & All Inclusive Resorts that will make your vacations a very relaxing time.